Telematics supplier Trimble Transport & Logistics has gained a new customer in Spedition Hubert Winnen GmbH & Co. KG. By the end of the year Trimble will fit the latest version of the CarCube to the glass transporter’s entire fleet. By introducing this telematics solution, the transport company from Gladbeck will improve communication between the MRP system and the drivers, with enhanced fleet management and vehicle utilization. Payroll and expense accounting will also be largely digitised. The new telematics system means we can meet higher customer expectations in the age if digitisation. The reason Trimble telematics won out, he says, is the impressive depth and breadth of the solution. Hardware and software are from a single source, as well as support. “We always get quick and accurate replies to our queries,” says Hoffmann. That is how, after a test phase, Trimble was able to beat off two other telematics vendors. The first vehicles of the Gladbeck-based transport company were equipped with Trimble telematics in early July. By the end of the year, the CarCube will be installed in all units in phases. The telematics solution is intended to simplify and optimise the workflows in MRP and administration. Before the CarCube was implemented, all data had to be entered and transferred manually. We hope to significantly improve communication between the drivers and the MRP system. 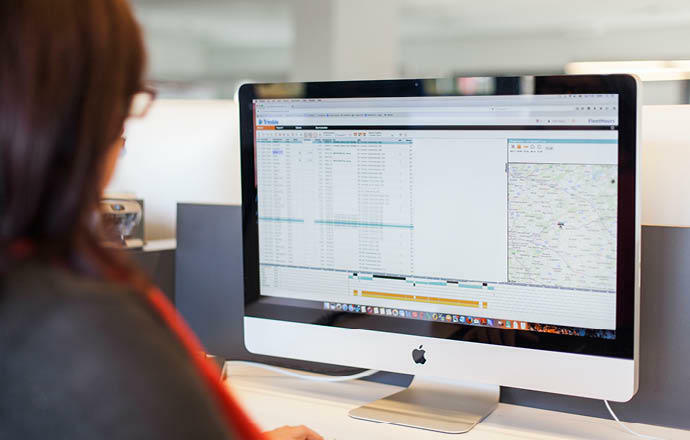 Digitisation removes the need for drivers and MRP controllers to call each other to assign jobs and obtain status information – trip and job data, vehicle data and management information are recorded and presented digitally. Hoffmann believes that this provides significant potential savings, and that vehicle planning can be made much more efficient. The CarCube provides the MRP system with exact information about vehicle status and location. This means journeys can be planned more effectively and better use can be made of loading capacities by linking trips in a targeted way. 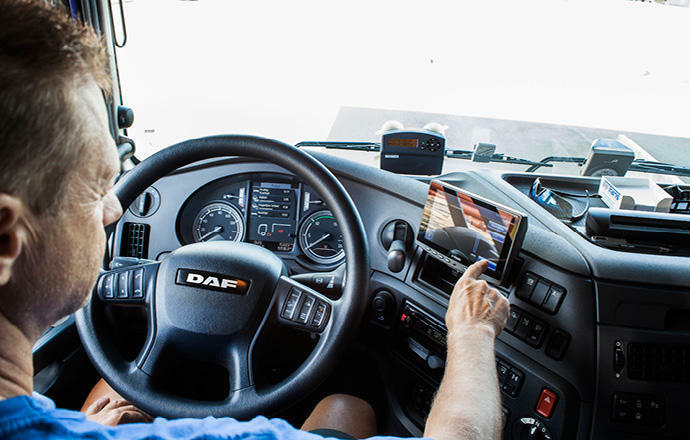 The glass transporter, which operated throughout Europe, eventually plans to install the telematics solution in 50 vehicles of a partner company. Alongside the CarCube on-board computer, Winnen will use the FleetHours payroll and expense accounting system. We want to use the program to drastically reduce the time spent on payroll and expense accounting, and we’re also looking forward to simpler workflows. In future, all the telematics data transmitted by the CarCube will be visible in the FleetHours software so there will be no need to enter the drivers’ expense reports manually. The interface, implemented by Soloplan GmbH, will also support and harmonise data exchange between the CarLo transport management system and the Trimble telematics system. According to Hoffmann, this system performed convincingly in test mode. “The workflow needs time to bed down in the telematics system. I expect that we’ll be finished with fine tuning in the first quarter of 2017,” says Hoffmann. Support and training were very important to the glass logistics experts right from the start. They allowed the company to understand all the powerful functions of the telematics solution and take full advantage of the potential. A number of training events were held to familiarise all users and administrators with the functions. The drivers and workshop personnel received intensive training in how to use the CarCube. Spedition Hubert Winnen GmbH specialises in glass logistics and operates throughout Europe. In addition to transport and storage, the Gladbeck-based company’s portfolio encompasses all logistics services.